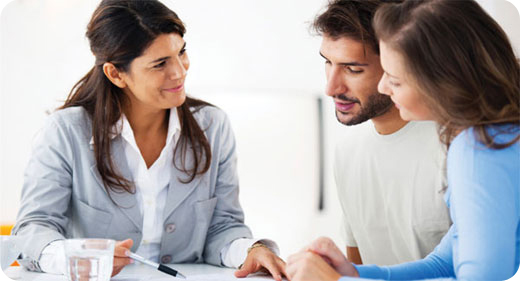 How Experienced Accountant Offers Expert Advisory Services? If you have a business of your own, you surely want to make it into a gold mine. You want to know at every step and on a day-to-day basis about the amount of income your business made that day and the amount of expense your business made. In the early stage, when the work pressure is single-handedly being taken care of by you, you might know the income and expense too. But the moment you start expanding and start handling a team or few teams, then your focus would drift to handling and managing the teams and ensuring that they have enough work in hand. But still your concern about knowing the daily income or expense and the credit condition or the debit’s condition of your business would continue to exist. If you have a tax accountant along with a general cashier working in your company, then you are in safe hands. However, if you do not have either or both of them, you are practically walking in a fog and you are treading in dangerous waters. It is very essential that every businessperson or an entrepreneur knows the exact state of his business and its financial condition. This said, he should also pay all his dues and taxes to the state and the country as a whole and that too within time. In case a company does not pay its taxes or duties in time, they might be blacklisted and their reputation in the stock market might hit an all-time low. This is the reason every company today hires experienced certified public accountant like Susie Rachele to help in ensuring that your business accounts are done accurately. How to select the right accountant for yourself? You have to understand that a CPA or a Certified Public Accountant like Susie Rachelewould have the knowledge and expertise in handling and working on investments, taxes, audit, and accounting services thoroughly. The accountant would need to show you his or her work experience in this field. While many may be working in other companies, many others might be working as a part of tax or audit firms. In both the cases, they should have a vast experience of eight to ten years. While few accountants might have just got certified by their State, few others might have got certified by the American Institute of Certified Public Accountants or AICPA. There are few accountants who might have got additional certification of CFP or Certified Financial Planner. These are all extra feathers in the cap and they would be able to help you more in your work. Ideally, a CPA would be able to offer you a variety of tasks from helping you in bookkeeping to preparing your income tax and even offering you timely financial planning services. This is where Susie Rachele is highly renowned in the industry. Thanks to her vivid knowledge of having worked in firms and enriching their business goals with her value-added advisory services.